87% success rate – From 2005 – November 2012 - 514 people have visited the clinic, 447 people gave up smoking and stayed off the cigarettes. That is a genuine 87% success rate. Needless to say – STOPPING has proved to be a interesting WORD, for some. Our results are based on statistics, and facts. I was a smoker myself for most of my adult life… I adapted, changed my career, re-qualified, focused on what we want – to STOP what we do not want. Are you afraid that you will loose the only thing that keeps you sane? Afraid that you will loose one of the few pleasures in your life? Afraid that you will put on weight? Afraid that you will get stressed out and not know what to do with your hands? These are all normal fears and it is my job to work with them. It has taken me since 2005 to perfect my smoking cessation system. But that’s not the only reason why it is so successful. It is tailor made just for you. I don’t do group sessions or see couples together. Your actual visit to the clinic is a private one on one session with me. The system has simple 3 steps. 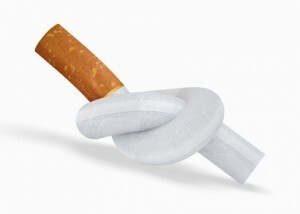 Step 1 : Call us to make your stop smoking appointment and we will send you out a quit smoking welcome pack. A confidential Client questionnaire that you fill in at home and bring to the clinic with you. The first track on the CD will give you a better insight into hypnosis and explains what it is and how you can benefit from it. How you can use hypnosis in your daily life and also to dispel some of the myths about hypnosis. You only need to listen to this 10 minute track once. The second track on the CD will give you an actual experience of hypnosis. This track is a hypnosis session designed for stress and anxiety reduction. I will ask you to listen to this 25 min track at least twice before you come to me for your stop smoking hypnosis session. For easy directions go “here“. When you leave the clinic you will be smoke free. I will give you a Quit Smoking Booster CD and ask you to listen to it for 5 days after your session. It is only 20 minutes long. All you need to do now is decide if you want to stop smoking. If the answer is YES, pick up the phone, make your appointment, keep that appointment and you will be free from your smoking habit for good. Copyright © 2013 Safe Harbour.